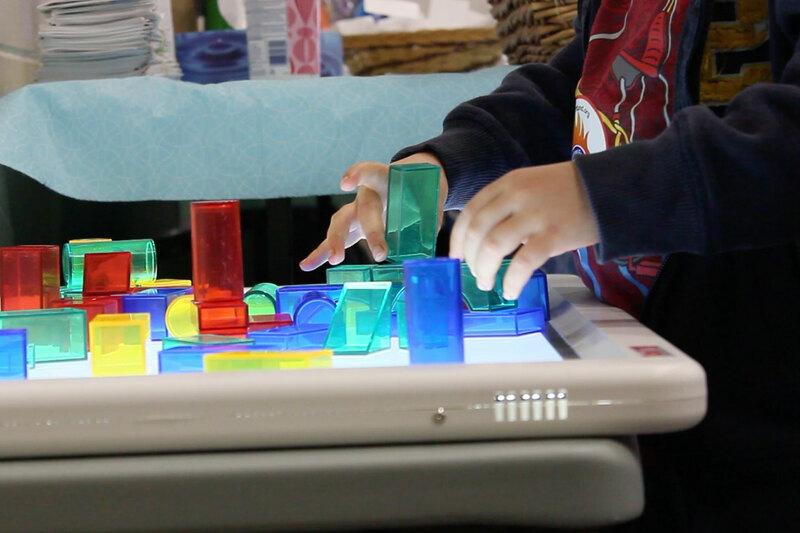 And, opportunities to reach their full potential. 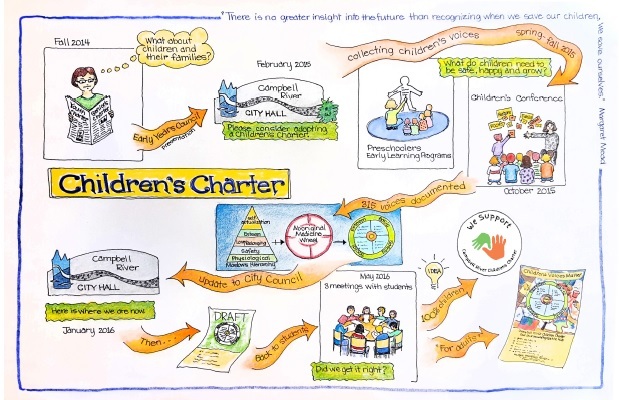 The Campbell River Family Network, School District 72 and Success By 6 partnered with the City to create a Children’s Charter. Throughout this journey, businesses and community agencies have shown support by endorsing the Children’s Charter during its development. 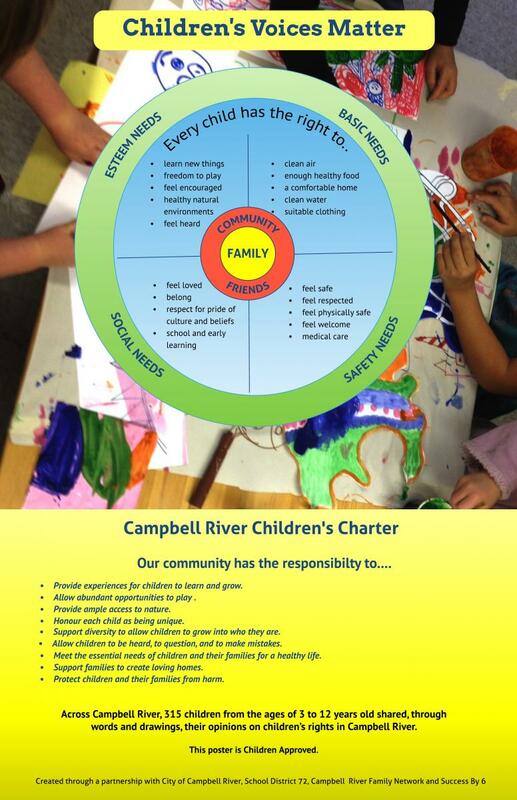 On October 24, 2016, City Council unanimously adopted the Campbell River’s Children’s Charter. 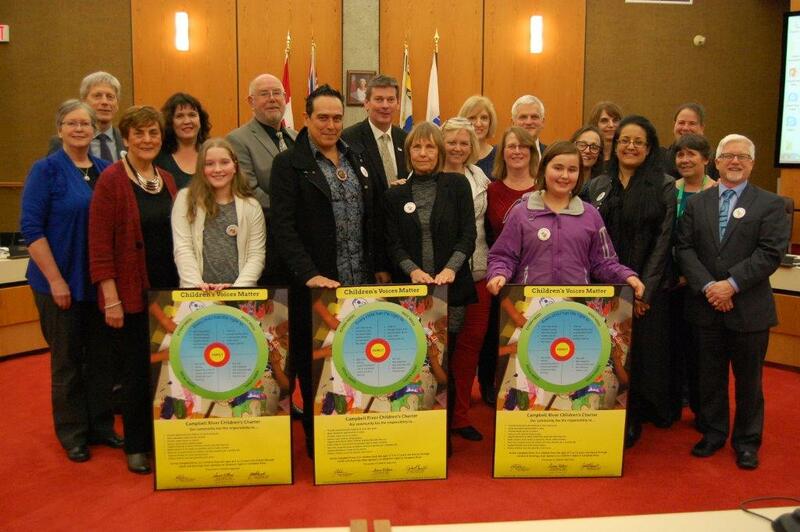 On November 15, 2016, many community leaders from across the community came together to officially launch the Children's Charter. It was also a time to thank everyone that has been involved over the past two years during the development of the charter. On November 21, during the City Council meeting, the official signing of the Charter took place. The Charter was signed by Mayor Andy Adams, City of Campbell River; John Powell, Chair, Kwakiutl District Council; and Susan Wilson, Chair, Board of Education School District 72. The official signing can be seen here.